Windows 10 Update KB4025334 Build 14393.1532 is now available for download. The new update for Anniversary update users brings fixes and improvements. 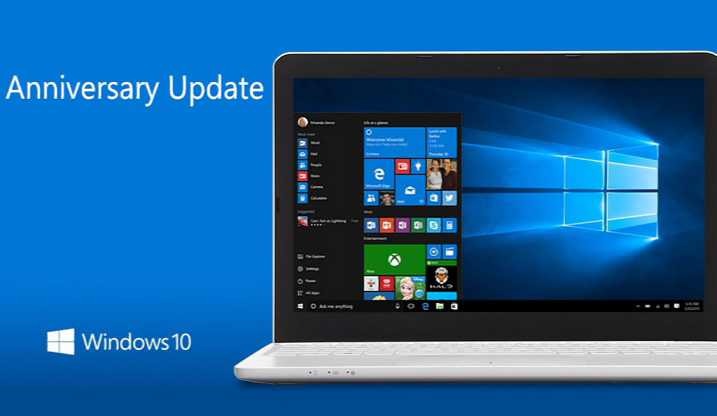 Previously, the company released update KB4025339 update Build 14393.1480. Check out the full official changelog below. Windows 10 Update KB4025334 Build 14393.1532 fixed an issue where when you switch from a wired connection to a wireless connection, a file (.ppt, .xls, etc.) that is being edited gets marked as “Read-Only”. Windows 10 Update KB4025334 Build 14393.1532 fixed an issue where File Explorer does not refresh changes automatically when using RemoteApps on Windows Server 2016. Windows 10 Update KB4025334 Build 14393.1532 fixed an issue where the “Removable Storage Access > Deny write access” policy was not honored. Windows 10 Update KB4025334 Build 14393.1532 fixed an issue where the system would throw an error when attempting to mount a corrupt ReFS volume in Read-Only mode. Windows 10 Update KB4025334 Build 14393.1532 fixed an issue where frequent loading and unloading when Unified Write Filter is enabled might cause a system crash. Check your Windows update and download latest update KB4025334 Build 14393.1532. The direct download links will be available soon on our website.